For full functionality of the solution, the IBM Lotus Domino person document must be configured like shown below. the mailboxes are converted and enabled for IMAP. 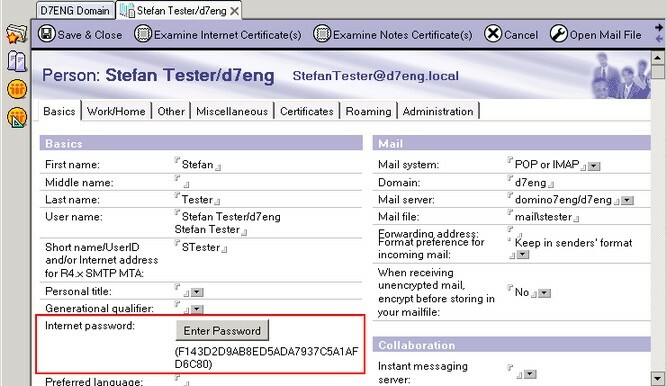 You can find more information about this topic in the IBM Lotus Domino Administrator manual.